What is National Relaxation Day? Why is so important to relax? Nowadays we live in a constant stress, and sometimes it isn’t easy to break free of its hold. In order to be happy and protect your mental and physical health from stress, you need to think about proper relaxation. Here you can find how to create a relaxing space in your home. Firstly, you want to know, what is National Relaxation Day. Right? National Relaxation Day is on 15th August every year, and it reminds us to slow down and relax. Too often it seems that people forget to enjoy the moment, rest and relax. Are you one of them? It is an important day, because we all need a break from our stressful and fast-paced lifestyle. Studies show that job stress is by far one of the biggest sources of stress for many American adults. It makes sense, given the fact that our lives are so busy and we live in a world that expects instant answers and attention. It has become increasingly difficult for people to juggle their work and personal lives, and many people feel pressured to check work emails or work overtime even after leaving the office for the day. It’s essential to implement some plants inside your office. If you would have a beautiful view outside your window such as green natural landscape (park, forest etc. ), it can be great for your mental health and well-being. But, of course, it’s not always possible. 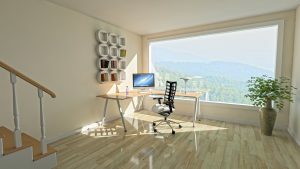 However, you can do this easily especially if you have a home office where you can work, but at the same time relax by looking at nature’s beauty. Proper relaxation is important for good physical and mental health, and for reducing stress and anxiety in our daily lives. 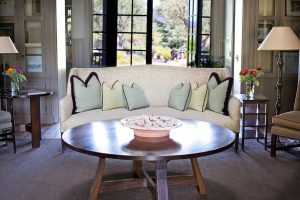 While there are many relaxation techniques to help with this, we thought one stood out–creating a relaxing space in your home. 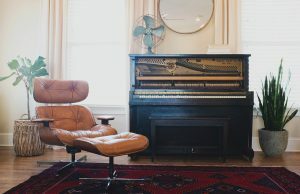 Dedicating a space in your home to relaxation is a great way to decompress after a long day of work, and many people will benefit from the calming environment a space like this provides. 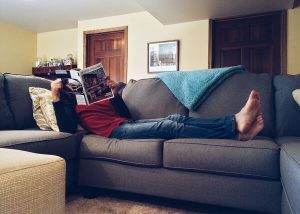 If you are looking for a great way to destress on National Relaxation Day, and any other day you are feeling overwhelmed, check out our tips to creating a space in your home that is optimal for relaxation and restoration. 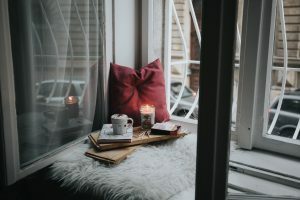 As mentioned previously, prioritizing self-care routines like making sure to rest after a long day is so important for your mental well-being, so make sure you choose a space in your home that is quiet and free of distractions. If you cannot dedicate an entire room to a relaxation space, that’s okay! Opt for a corner of your living room, attic, office, or an outdoor terrace! There are a lot of options to choose from for a relaxation location in your home, like these dreamy nooks here, so whatever area of your home you choose make sure it’s one where you can truly unwind in and detach from everything else around you. This space can be your favorite reading nook, a corner where you listen to music, meditate, or just a place where you daydream and rest to unwind after work. Quiet spaces allow our minds to relax, and when we are mindful it is easier to problem solve and allow creativity and intuition to surface. 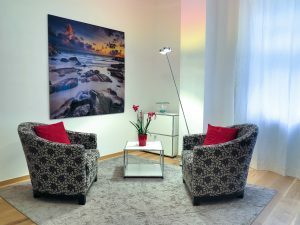 Determining what your quiet space means will differ from person to person, but once you are able to disconnect and still your mind you will be able to reduce stressful thoughts and anxious feelings. This space is meant to be all about you and what you need to relax and unwind, so personalize the room or corner by including items that help you stay calm. You don’t have to go overboard on design and decor, in fact, it’s best to focus on the essentials to create a minimalistic space to relax in. Include a comfy lounge chair or small sofa that you can rest in for hours. These stylish furniture pieces are ideal for lounging, reading, or drinking a cup of coffee or a cocktail. Add a printed pillow or fur throw for a pop of color. For added comfort and personalization, include a cozy rug, unique wall hangings, artwork, or some stress relieving plants, like jasmine! We all love a good Netflix binge or scrolling on our Instagram feed to keep up with friends and family, but in order to get the most out of our relaxation time try to unplug from all of our devices. Take a break from refreshing social media accounts and answering work emails late into the night, and instead do something that completely relaxes your mind and body. Some ideas are reading a book, enjoying a cup of tea, meditating, painting or drawing, writing in a journal, or simply do nothing and resting. Too much technology can be harmful due to its addicting and distracting nature. While there are healthy distractions, technological distractions tend to exacerbate issues when overused by encouraging us to ignore emotional problems versus facing them head-on. Find a balance and make sure you put down your devices when you know you need to sleep or shut your brain off for a period of time. Check out these six smartphone apps here to help break away from your screen and relax without distractions. Now you know, what is National Relaxation Day and how to create a relaxing space in your home. 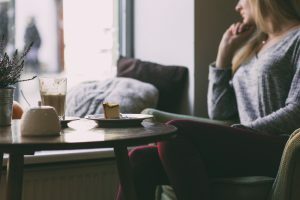 You need to choose a quiet area or room for alone time, personalize your space and unplug from technological devices by choosing to do something that relaxes your mind and body. How do you relax? What is your favorite relaxation activity? Is there a place in your home where you can truly relax and enjoy doing what you love? 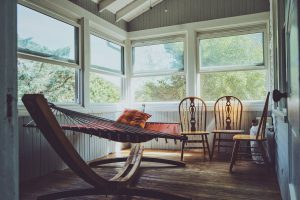 What do you think about these tips for creating your at-home relaxation space? Let me know below! Make your home a safe haven and the best place to relax after the stressful day. If you want to know more tips and tricks on how to reduce stress in your daily life, CLICK HERE to find out. Do you have questions or suggestions? I would love to read your thoughts on this topic. Please, leave me a comment below, and I will answer you as soon as I can. Is this post helped you? Share it with your friends on social media. Thanks for the great reminder about how it important it is to relieve the stress in our lives, and the tips for making it happen. Yes, I believe that people sometimes forget how important is relaxation. Have a great day, Kyle! I really think that this article will be of great help to me. Just like you said, today is very hard to stay relaxed because of daily job, kids, family etc. 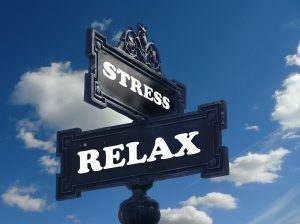 I think that all of us should find some relax tool that will release us from stress. Modern technology is great but it also greatly affects our daily life and you are right, we should unplug those devices from time to time. I am glad to hear that this article can be of great help. I hope you take the advice and rest, relax. Nowadays, people somehow forget about themselves and their needs. It can destroy their health and negatively impact their well-being. Yes, I believe we are using too much technology, and we need to unplug from time to time and just enjoy the beauty of silence, nature or book. If we do that, we are more able to achieve better results in our jobs, in our lives. Well I could certainly do with taking part in a day like this – I don’t stop these days, and I don’t see it changing any time soon! I’m not alone though – I think that a high majority of people who have working lifestyles are under complete stress 99.9% of the time, very sad really when you think about it. I really like your tip about unplugging the electrical devices in your relaxing space – this is something I would never of thought about off my own back! You need to rest and relax, Chris. We all need. You are not different than other people, and everybody needs rest and relaxation. Nowadays too many people live in a constant stress, and it’s not good for their bodies and well-being. Remember that stress is the silent killer and it can cause people to get ill, because stress negatively imapcts our immune system. You need to think about ways how to manage your stress and relax. now I really like the sound of national relaxation day! Why haven’t I heard of this before! It is nice that you loved the tips on creating a relaxing space at home, because each of us needs to have a special place for relaxation. Today we live in a world where we experience constant stress, and we need to remember to let go and relax each day if we want to be healthy, happy and face new challenges.